You want to keep up with the current trends in marketing. But you don’t have time to read a bunch of trade magazines or internet articles. That’s where podcasts come in. Instead of listening to music on your commute to work or your daily run, use this time to learn new ideas and concepts that can help you create even more amazing content. With the popularity of podcasts rising, so is the number of podcasts available. Some are absolutely fabulous, and others are mediocre at best. We did the tough work of listening to a bunch of different podcasts, so we could bring you this short list to subscribe to. You may notice that a few popular options, notably Copyblogger FM, Marketing Over Coffee, and Online Marketing Made Easy, are not on the list. We love and recommend those podcasts, but we wanted to highlight some that you might not have heard of already. So, enough with the intro. Let’s get right into the podcasts so you can start listening – no more boring drives or jogs in your future. Short on time? Want to be informed and inspired? We are right there with you, and that’s exactly why this new 10-minute podcast has made it onto our to-do list every single week since it started in January 2019. Robert Rose, who is chief strategy advisor for the Content Marketing Institute, has a unique perspective because he works with content marketers at many different companies. It’s straightforward, no-nonsense, and interesting, with a predictable format each week – thoughtful insights on a marketing news story from the week, and an idea to create content. Although Rose talks the whole time – there are no interviews – his wit and perspective are more than enough to carry the show. And the content is so insightful that we can even overlook the annoying theme music and effects. This podcast packs a lot into a very short time. Rose covers a wide range of marketing topics, from ways to use video and Facebook news feeds to why marketers should strive for classic instead of evergreen content. Episode 11: Build a Purple Audience – Our favorite part of this episode is the tip on how to spend unexpected free time, which we are often guilty of wasting. The premise of this new show is that you need to do something different to get people talking. This podcast looks outside the typical marketing ideas and shares unusual things businesses have done to garner attention. 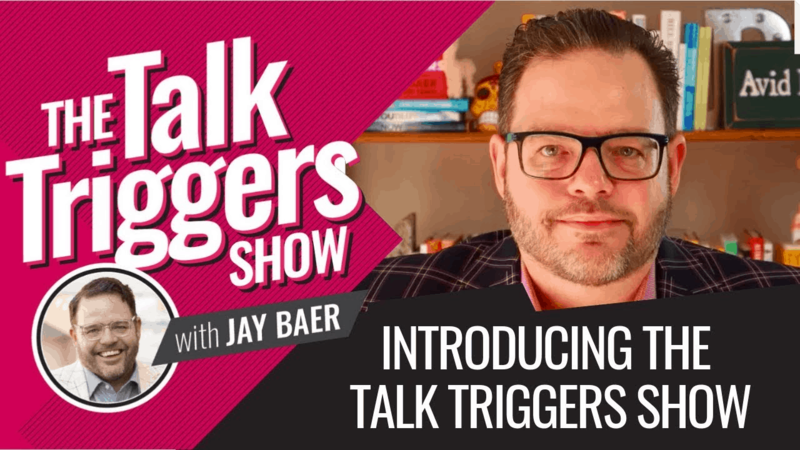 Jay Baer, a household name in the marketing world, scours a wide range of industries – episodes have covered everything from debt collection agencies to a sardine company to a funk band – and shares his perspective on tactics they have used. No interviews – just Jay. No, this podcast doesn’t tell you exactly how to get people talking about your business. And that’s exactly the point – you have to do something no one else is doing. But creative marketers can easily use the ideas presented to inspire them to take a similar approach to their own marketing challenges. Episode 10: This College Basketball Student Section Is Hilarious (or Annoying) – Learn how a university started a funny tradition that has helped increase attendance by more than 200 percent. This list wouldn’t be complete without Social Pros – which the Content Marketing Institute recently named best podcast. With two hosts and a guest who works at a brand – often a large company such as Ford or Dell – this show gives you the real scoop on how household brands create great social media. 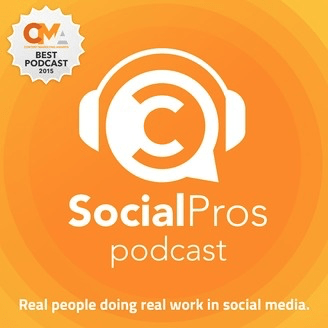 Social Pros also covers new trends in social media and discusses practical ideas that anyone working in the field, regardless of the size of the company, can put to use as soon as the episode is over. Since the show has close to 300 episodes, all content marketers will find plenty of topics to keep them listening for years. We also love the fact that the show notes include timestamps for each section of the podcast. So if you have limited time and only want to listen to one section, or if you want to go back and re-listen to a part that really spoke to you, you can go right to that spot. With both Jay Baer, founder of Convince & Convert, and Adam Brown, executive strategist at Salesforce, hosting Social Pros, you get the benefit of years of experience in the field in addition to the guest’s contributions. Episode 286: How Personal Tragedy Illuminated Business Empathy – Minter Dial talks about how businesses must empathize with both employees and customers to succeed. His main point about the intersection of empathy and business is that you must treat your employees the way you want them to treat your customers. Yes, this podcast is on many lists of marketing podcasts, but it’s there for a reason – it’s one of the best podcasts for marketers and also one of the longest running, having started more than ten years ago when podcasts weren’t nearly as trendy. 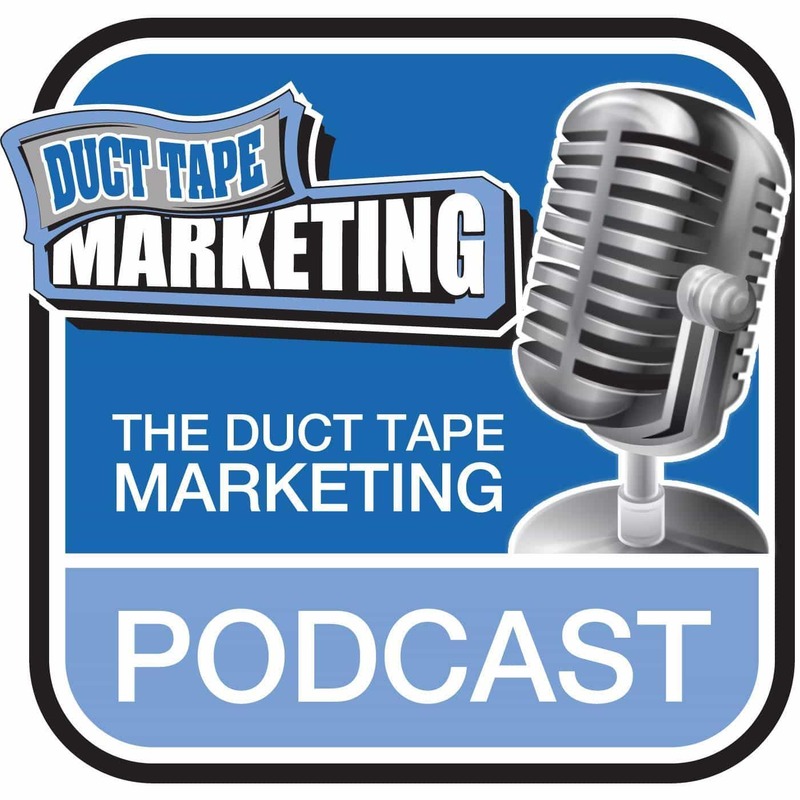 We’ve had the pleasure of meeting host John Jantsch, author of Duct Tape Marketing, and he’s as down to earth in real life as he comes across during the interviews with fellow marketing experts. There is no BS in this podcast – just great information. In addition to being a marketing guru – he literally wrote the book – Jantsch is a great interviewer who both invites interesting guests onto the show and gets great insights from the conversations. Each time we listen to a show, we find ourselves thinking about marketing in a new way, and usually we have a new idea to try as well. Jantsch covers a wide range of topics that appeal to content marketers of all levels, such as getting the most ROI from your content, the importance of strategy, unconscious bias, using chatbots, and productivity tips. How to create ridiculously good content with Ann Handley – Even if we weren’t members of the unofficial Ann Handley fan club, this episode would still be near the top of our list because of the actionable tips for writing – which is pretty much at the core of all content. 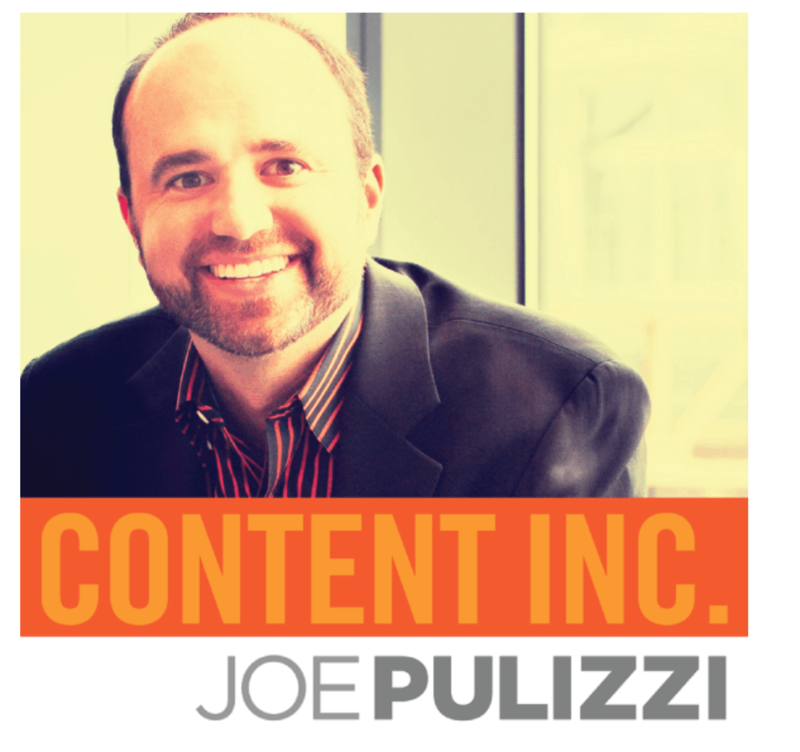 Yes, we know that Joe Pulizzi, founder of the Content Marketing Institute, is no longer publishing new episodes of this podcast. But it just felt wrong to have a list of content marketing podcasts without including one of the podcasts by the man who spearheaded the content marketing industry for many years. And until he starts creating podcasts again, we had to choose from his several excellent archived shows. Even though this show isn’t currently in production, you have 200 different episodes to choose from. The episodes are short, to the point, and insightful. Most of the episodes are evergreen, and even three years later, are just as relevant as they were the day they were created. Each five-minute show addresses a common challenge in marketing and gives Joe’s take on the issue. Like most great podcasts, the show often makes you question something you thought you knew and makes you think about the topic differently when the show is over. Episode 172: Try Changing the Words – Joe talks about starting the content marketing movement by simply creating a term that resonated with CMOs. We became huge Jay Acunzo fans after listening to him speak at Content Marketing World several years ago. After recently discovering he had a podcast as well – yes, we were a little late, since he’s been producing the show since 2016 – we are even bigger fans of Jay. And with Jay’s storyteller approach, it’s easy to think you are actually listening to an NPR show. Jay mixes up the format – most of the time he interviews someone, but he will sometimes use a discussion format or have a just-Jay episode. While some of the other podcasts on our list focus on the actionable and practical, Unthinkable is more about the philosophical side of creating and focuses on the mindset of creativity and how to create your best work. Yes, it’s sort of about marketing, but it’s more about creating and the people behind the work. And honestly, this podcast is itself one of the best examples of fabulous content marketing. Sure, the topics he’s covered over the years may seem bizarre and a bit out there for a marketing podcast at first glance – the man bun, beer, a pie factory, cars. But he really does make you look at things in a different way and, in turn, create better content. Season 5, Episode 7: The Paradox of Exceeding Expectations – We think the goal is to do more than our customers expect, but this thought-provoking episode talks about what that means in reality. You’ve seen firsthand the value and appeal of podcasts. Are you missing an opportunity in your own content strategy to use podcasts to connect with current and potential customers? Podcasts are relatively easy and inexpensive to produce, though many of the best are produced with a high-quality microphone and editing software. Is there a current void in podcast content that would be interesting and relevant to your audience? The goal of content marketing is to build trust with potential customers. And trust comes from people feeling like they know your brand and are connected to your company. Hearing someone’s voice and getting a window into their thoughts builds trust like no other current form of content. Even more, the casual nature of podcasts can make customers feel like you are their friend and on their side. So listen to other podcasts. Learn from them. But also listen out for ideas to start your own. Jennifer Goforth Gregory can almost always be found writing content for B2B technology companies, rescuing dachshunds from local shelters, refereeing teenage drama in her house or drinking as much Diet Mountain Dew as possible. After years of swearing she wouldn’t ever write a book, Jennifer gave in to pressure from her friends and family and published a bestselling book for freelance writers - The Freelance Content Marketing Writer: Find Your Perfect Clients, Make Tons of Money and Build a Business You Love.